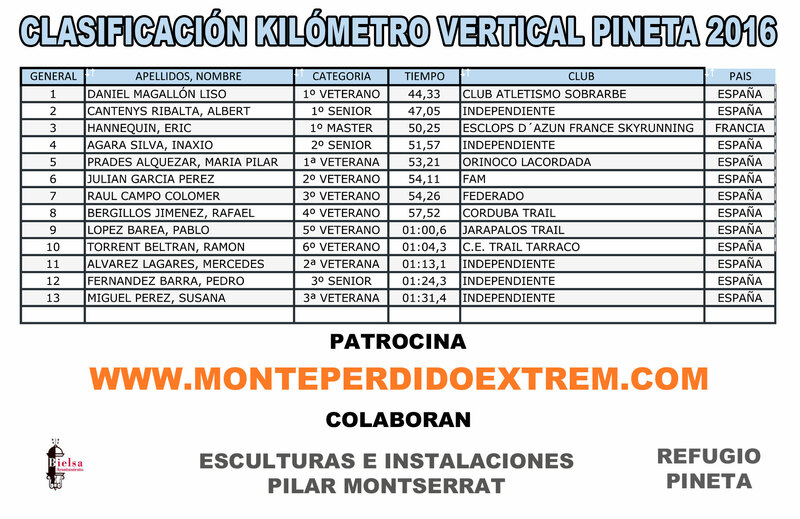 This sunday the 5th of June has been done the Vertical Kilometer of Pineta with a spectacular triunph of Daniel Magallon Liso belonging to the Team Atlético Sobarbe with a good time of 44 minutes and Maria Pilar Prades Alquezar with a time of 53 minutes and belonging to the Team of Orinoco la Cordada. 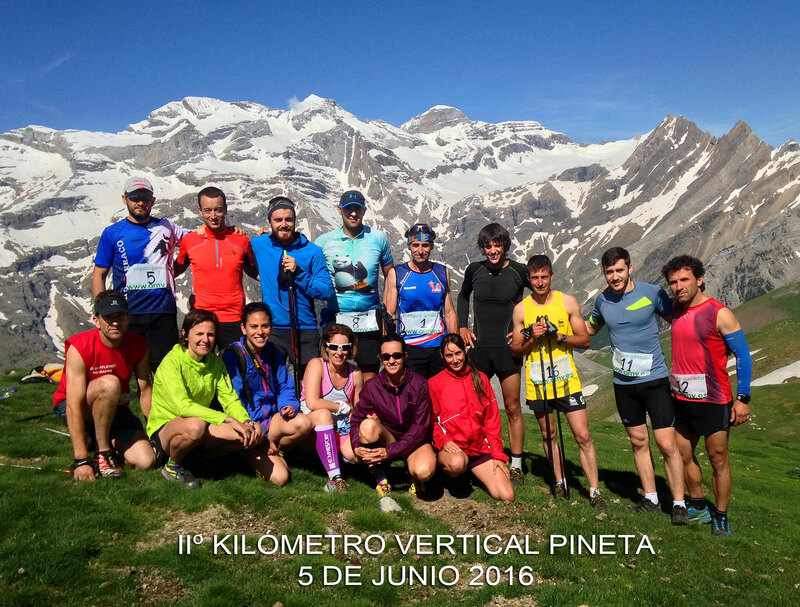 Others athlets who gathered at the KVP has enjoyed so much that they promised to return the next edition. Here we’ll be waiting them. Pilar Montserrat (sculptor) gave two very original sculptures to both absolute champions.